This year, in celebration of Global Wellness Day (9th June 2018), Four Seasons Resort Chang Mai will be launching ‘Glorious Green Season’, an exciting new wellness package lasting from now until September 2018, allowing guests to immerse themselves in the rejuvenating qualities of Chiang Mai’s lush green season. The package, consisting of carefully crafted activities designed to help find pure serenity, begins with a gourmet complimentary breakfast at Khao, the Hotel’s exquisite five star restaurant overlooking the local verdant countryside. After breakfast guests will slip on traditional Thai clothing and begin the Sensory Nature Trail, where they will discover exotic plants and flowers through touch, taste and smell. This unique tailor-made experience allows guests to discover the ancient practice of rice farming first hand, amid the tranquil waters of the surrounding rice paddies. 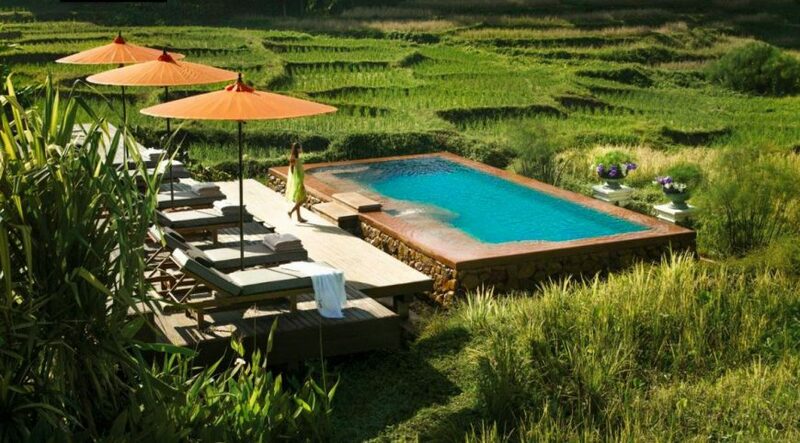 Overlooking lush rice fields and rolling mountains, with its luxury Spa of Social Harmony and rich array of health-orientated Experiences on offer, Four Seasons Resort Chiang Mai is the perfect wellness destination, providing the ultimate retreat to nurture your inner beauty and indulge in self care. Celebrate Global Wellness Day with Four Seasons Resort Chiang Mai – finding a renewed sense of purpose and calm. The offer will be running from May 2018 – September 2018.